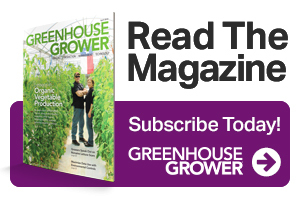 The Direct Gardening Association recently presented Proven Winners ColorChoice Philadelphus ‘Illuminati Tiny Tower’ and Punica granatum ‘Peppy Le Pom’ with 2019 Green Thumb Awards for best new plants in its plants, bulbs, and seeds division. 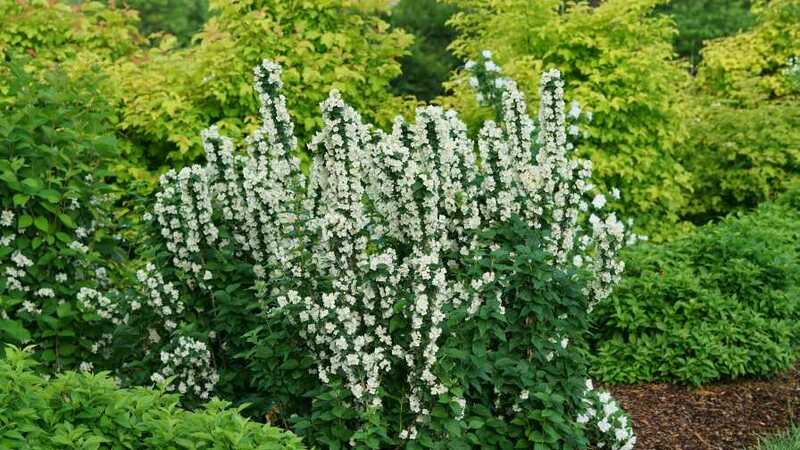 Selected for its narrow, columnar habit and unique, four-sided tower effect, ‘Illuminati Tiny Tower’ features hundreds of fragrant white flowers along dramatically upright branches, each nestled within dark-green foliage. Reaching heights of 3 to 4 feet and a width of 1½ feet, the new cultivar of Philadelphus coronarius is hardy to zones 4 to 7. 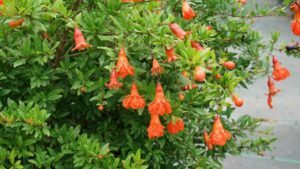 ‘Peppy Le Pom’ ornamental pomegranate is a dwarf shrub that blooms early and all summer long, peppered with bright-orange blooms that give way to small, ornamental fruit. Hardy in zones 7 to 10, this plant reaches heights of 3 to 4 feet and a width of 3 feet. Both plants are new introductions by Spring Meadow Nursery and are results of the work of in-house breeders Tim Wood (‘Illuminati Tiny Tower’) and Megan Mathey (‘Peppy Le Pom’). These wins follow the 2018 Green Thumb Award for Spring Meadow Nursery’s Proven Winners ColorChoice Hydrangea ‘Invincibelle Wee White,’ a dwarf variety of Hydrangea arborescens.